Wine cabinet : Which wine cabinet should I choose? Home > Which type of cabinet should I choose? The ageing of wines in the long term, with the objective of tasting them at their peak. It should be noted that all wines (reds, whites, rosé…) improve at the same temperature, just like in a good, natural cellar. 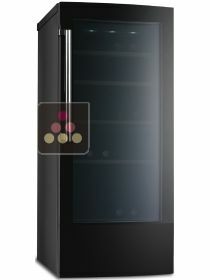 The service of wines is about preparing them for tasting by storing them at the correct temperature. 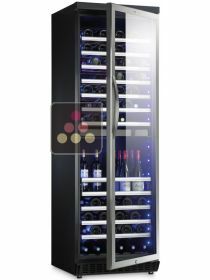 These wine cabinets are designed principally for restaurant owners and professionals. Storage is for keeping wine in the short term, in order to taste it quickly. 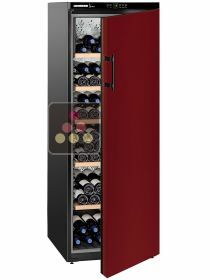 This cabinet is generally used as an secondary or additional wine cabinet. Ageing, storing and serving the wine. This is the expert's wine cabinet. 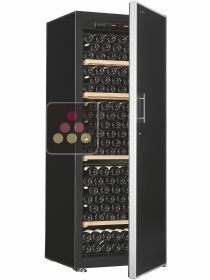 It is a multi-purpose wine cabinet for experienced wine enthusiasts. 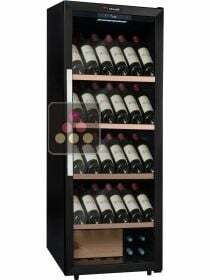 Our wide range of brands of wine cabinets offers you a large number of products to meet all your needs.